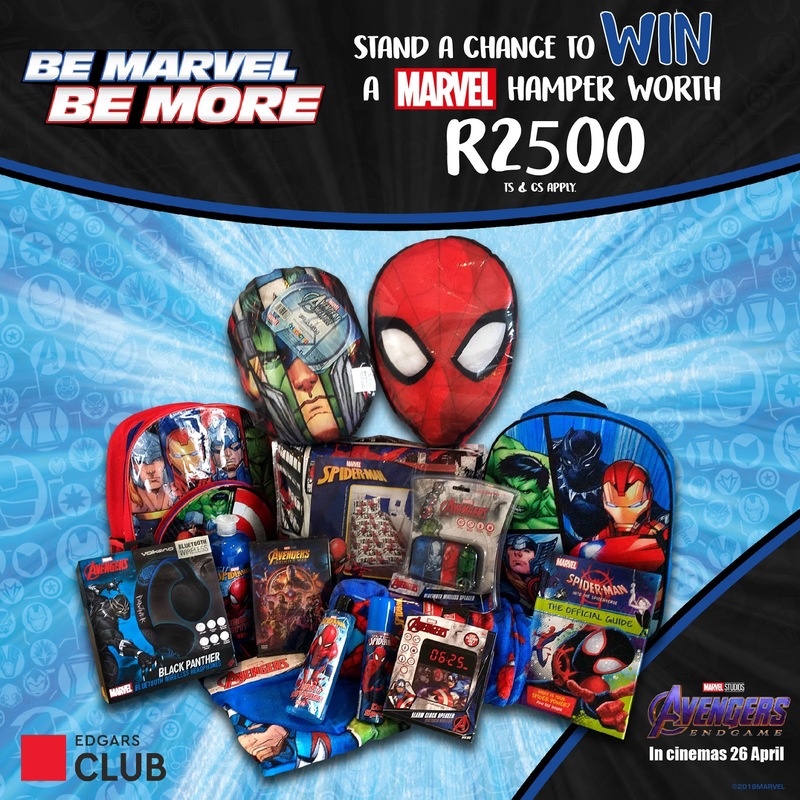 To celebrate the release of Avengers: Endgame, Edgars Club is giving away a hamper filled with Avengers goodies, worth R2 500. Calling all Edgars Club members who are Avengers fans – this giveaway is for you! We’re celebrating the release of the much anticipated Marvel action-hero movie, Avengers: Endgame by offering Edgars Club members the opportunity to win with Disney. The awesome hamper includes a Spider-Man comforter set, Avengers backpack, Spider-Man and Avengers pillows, Avengers bluetooth speaker, Spider-Man alarm clock, Black Panther bluetooth headphones, and much more. Simply enter the competition between 26 April and 31 May to stand a chance to win. Ts and Cs apply. To find out more and enter, click here. Want to look the part? Edgars has a range of Disney- and Marvel-inspired goodies to gear you up for Avengers: Endgame. What’s more, Edgars Club members save up to 50% on two Ster-Kinekor movie tickets daily, so you can treat yourself and a friend to Avengers: Endgame for less. Ts and Cs apply. To find out more about this benefit, click here.